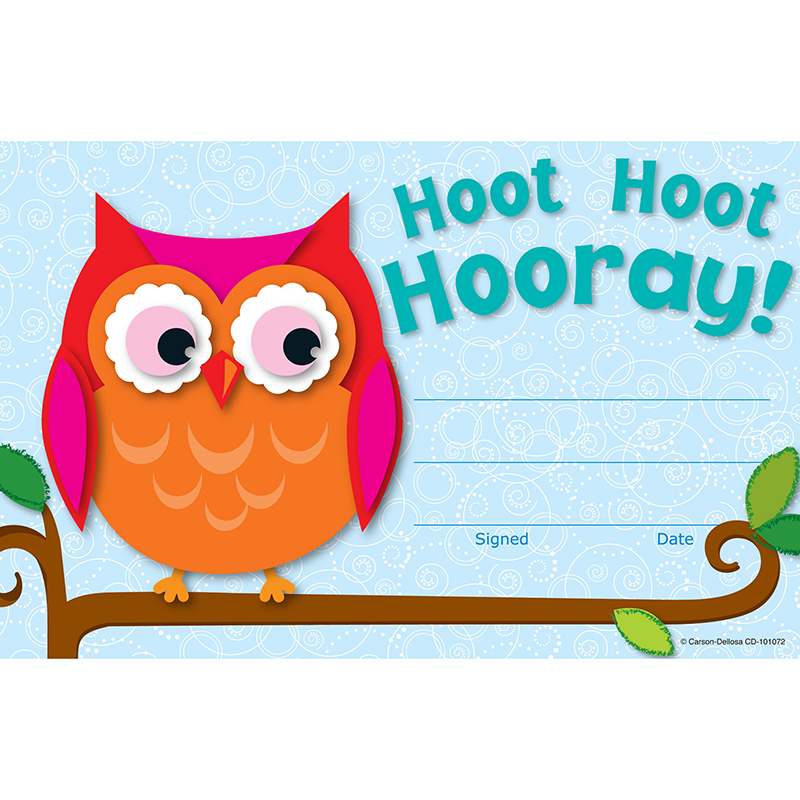 The popular Owl design creates a cheerful and inspirational award that students will be proud to receive. Students will love the encouraging message!. Available in packs of 30. Great to have on hand to celebrate students' accomplishments and achievements. Look for coordinating products in the Colorful Owl design to create an exciting classroom theme! Each sheet measures 5 12;" x 8 12;".